Let’s face it; finding meaningful Christmas gifts for Mom and Dad can be quite the challenge. We want so much to choose gifts that show our appreciation for the years they spent attending school plays, helping with homework, listening to our torturous music lessons, and, well, putting up with us while still maintaining most of their sanity. Unfortunately, however, most of us can’t afford to send our parents on an exotic vacation or buy them a new sports car for Christmas, so for those of us on a budget, I found some great (and affordable) personalized Christmas gifts for Mom and Dad that they are sure to love. 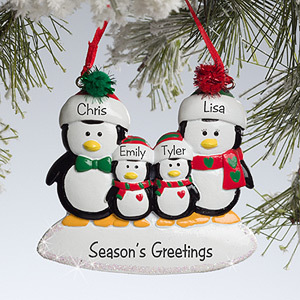 This festive ornament can be personalized with the names of up to six family members and a custom greeting to create a one of a kind gift that is certain to be treasured for many Christmases to come. 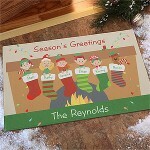 Give Mom and Dad a welcoming surprise this Christmas with this unique holiday doormat. Choose up to six characters to represent family members, character names, a custom greeting, and a family title to customize this durable doormat especially for them. 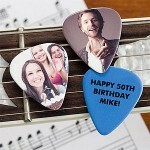 If Mom or Dad play guitar, this personalized guitar pick will rock their Christmas for sure. Select your favorite photo to display on the front of the pick, and add a special sentiment on your choice of backgrounds on the back. Sold in packages of 20, 40, 60, 80 and 100. Mom can store all of her fabulous Christmas cookies in style when you give her this personalized cookie jar this holiday season. 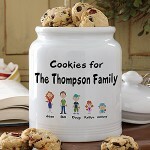 Customize it with your choice of up to eight cartoon characters, each family members name, and up to two lines of text at the top. 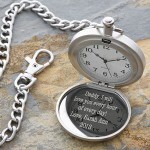 Give dad the time of his life this holiday season with this exquisite brushed silver-plated pocket watch. Customize with a 2-3 letter monogram on the front and any heartfelt sentiment (up to 5 lines) on the back. What better way to honor Mom and Dad this Christmas than to present them with a personalized ornament that displays your favorite photo of them or the family? 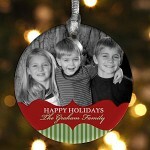 Add up to two lines of season’s greetings or personalized text to customize this unique gift even more. This personalized baby frame is an excellent Christmas gift for new parents this holiday season. It can be customized with the baby’s name and birth information to create a wonderful keepsake that is certain to be cherished for years to come. The perfect personalized Christmas gifts for Mom and Dad, these coffee mugs are sure to warm their hearts this Christmas. 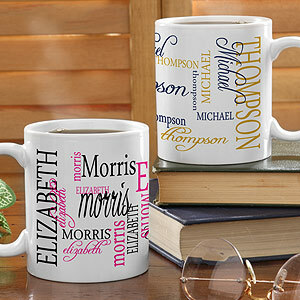 Personalize with the names of Mom and Dad in your choice of colors. 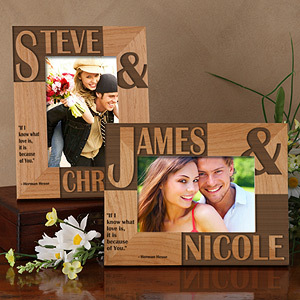 Personalize this unique wooden frame with up to two names and the verse of your choice to create a one of a kind gift Mom and Dad will treasure for an eternity. Do you think personalized Christmas gifts for Mom and Dad have more meaning than other gifts?